I Hope You Get This Message by Farah Naz Rishi follows three high school students as they come to terms with the end of the world. What would you do if you might only have seven days left to live? That’s the question on Jesse, Cate, and Adeem’s minds as they face the fact that an alien entity might be the end to everything as they know it. 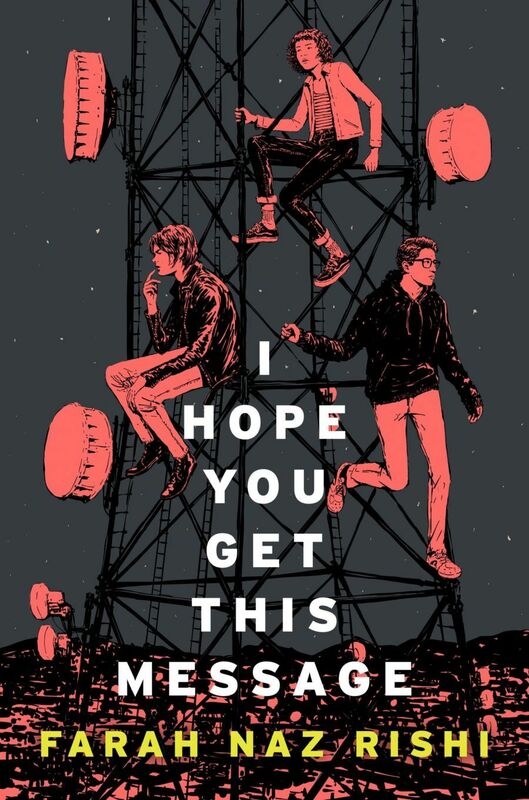 We’ve also got an exclusive first look at I Hope You Get This Message‘s dynamic cover, designed by Erin Fitzsimmons and illustrated by Adams Carvalho. And if that all sounds like something you might want to read, you’re in luck! We’ve also got I Hope You Get This Message chapter 1 right here. Enjoy! I Hope You Get This Message by Farah Naz Rishi hits store shelves on October 22, 2019. You can pre-order it from Amazon and IndieBound, or add it to your Goodreads list.